3D shapes for kids are not always easy to teach. They can be difficult to draw and often have funny names. What makes a 3D shape? 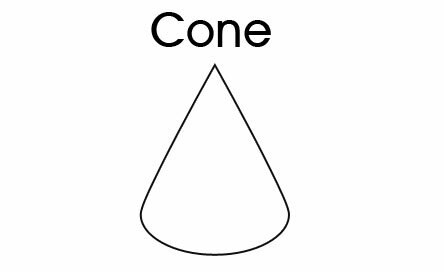 Let's look at the cone shape. Have a think about more uses for cones that you know of in your everyday life. Print off the cone shape to colour or as a reference for a school project. Thanks to our sister company Kidspot Australia for creating the printable template.